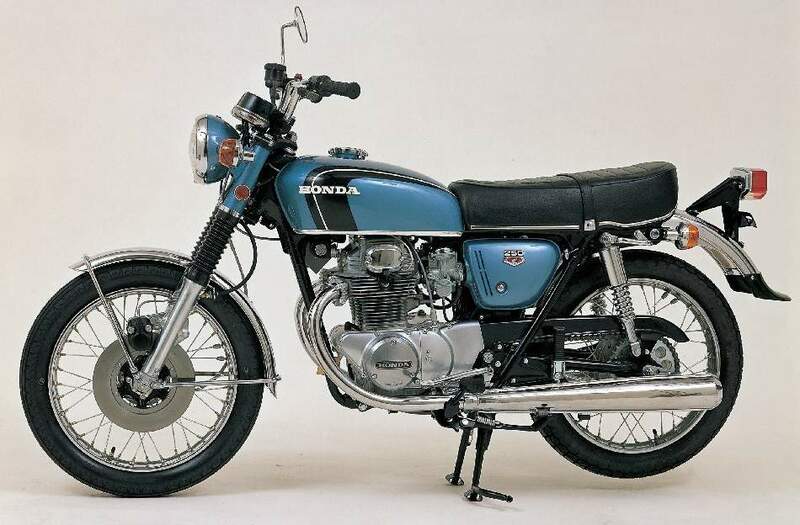 A drastic restyling of Honda's 250 in the late 1960s indicated new thinking at Hamamatsu coincident with the introduction of the CB450 and, later, the 750-4. The tall, narrow look of the CB72, with its humped petrol tank, spine frame and orward-inclined engine, was abandoned. 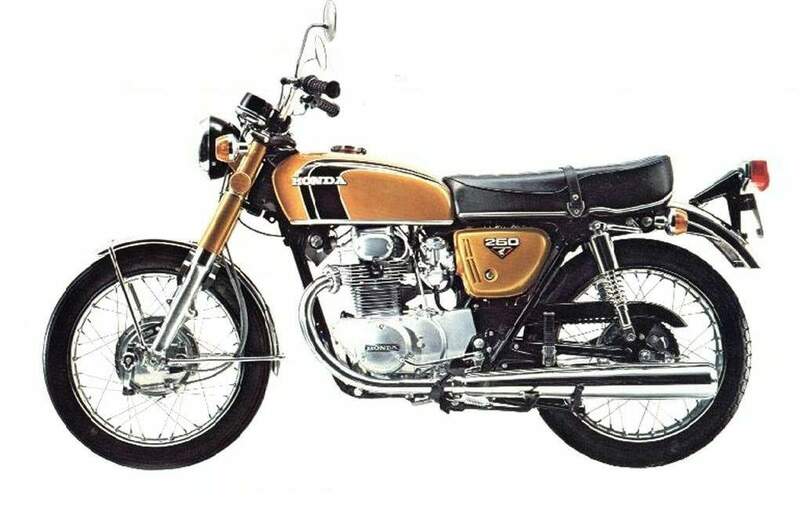 The new CB250, first shown in Europe at the Earls Court show of 1967, was much more in the western tradition, in looks, although still possessing above-average performance. Running through several model numbers over the years, it long retained the essential specification of an upright parallel-twin engine of 56 x 50.6mm bore and stroke housed in a full-loop, tubed frame and driving the rear wheel by exposed chain via a five-speed integral gearbox. 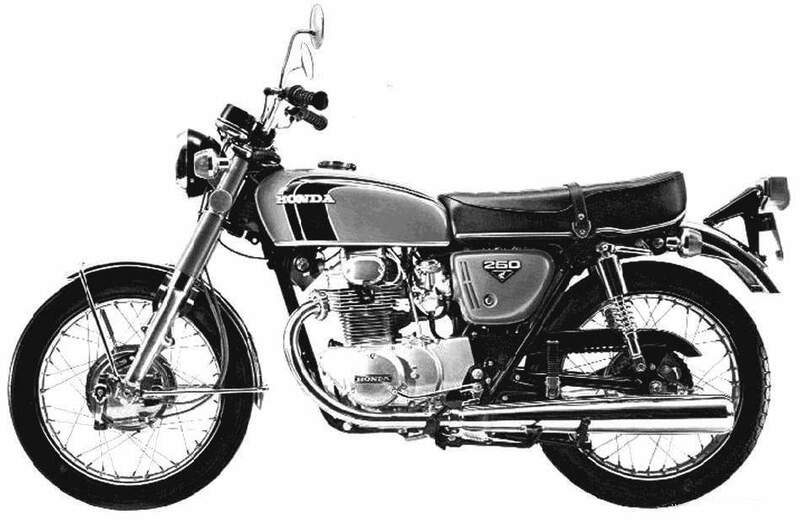 The petrol tank was broader, more rounded, than on the CB72, and because the machine was longer and lower than before, the riding position lost its cramped but speed-suited layout Heavier than the original 250, but with no additional power to match, the CB250 was not quite the speedy performer that the CB72 had been. model, which had been unashamedly slanted at the 'enthusiast' market.